The Sense and Non-Sense of Revolt: The Powers and Limits of Psy..
Case Study Research: Design And Methods (applied Social Research..
Apple Time Capsule 2TB External Wireless Network Hard Drive (MD0..
Spontaneous Healing: How To Discover And Enhance Your Body's Nat.. This is called affiliate marketing. Pay for Performance will show anyone conducting business online, how to plan, implement, and manage a successful affiliate marketing program. The reader will find valuable Web resources such as tracking software and cont.. Using Art Therapy With Diverse Populations: Crossing Cultures An.. The Sense and Non-Sense of Revolt: The Powers and Limits of Psyc..
Kristeva focuses on an intriguing new dilemma. Freud and psychoanalysis taught us that rebellion is what guarantees our independence and our creative abilities. But in our contemporary entertainment culture, is rebellion still a viable option? 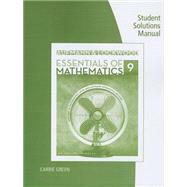 Is it still ..
Student Solutions Manual for Aufmann/Lockwood's Essentials of Ma..